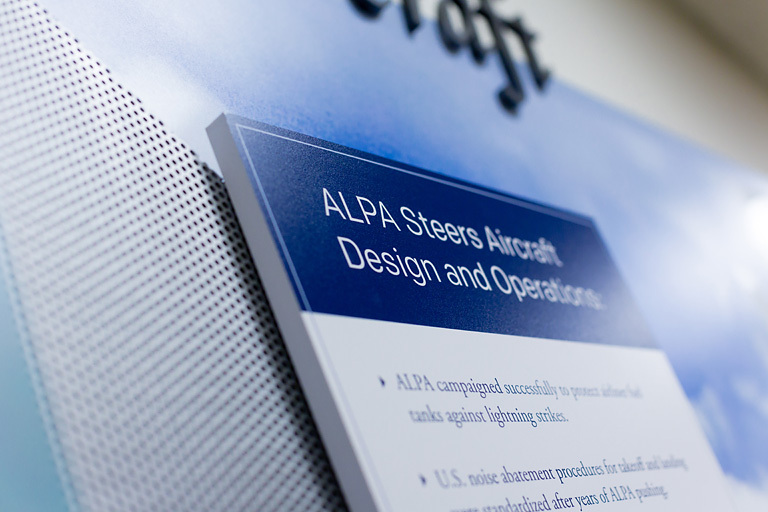 As part of our comprehensive design program with The Air Line Pilots Association, we were tasked with highlighting their role as the largest nongovernmental aviation safety and security organization in the world. 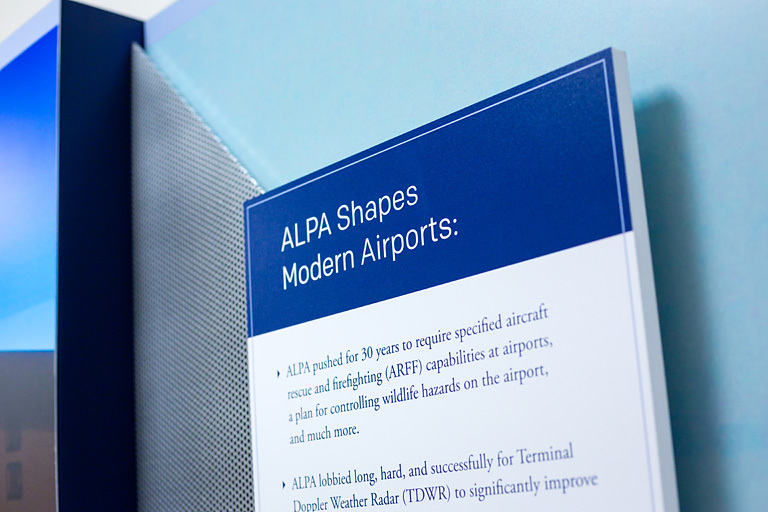 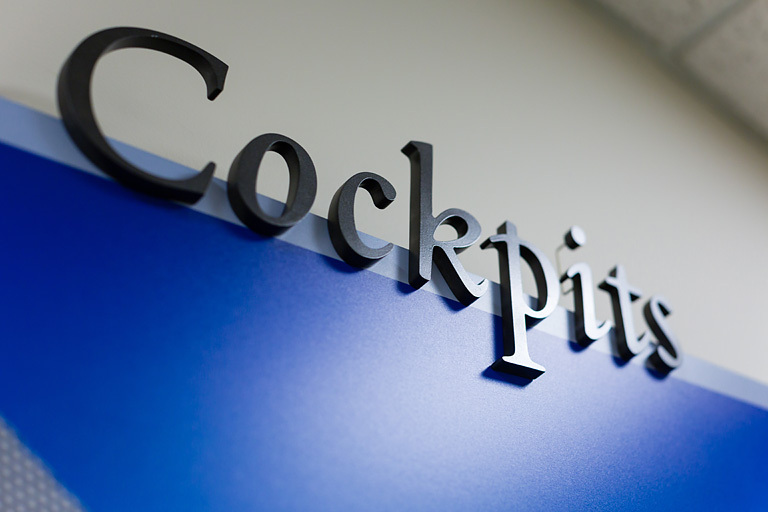 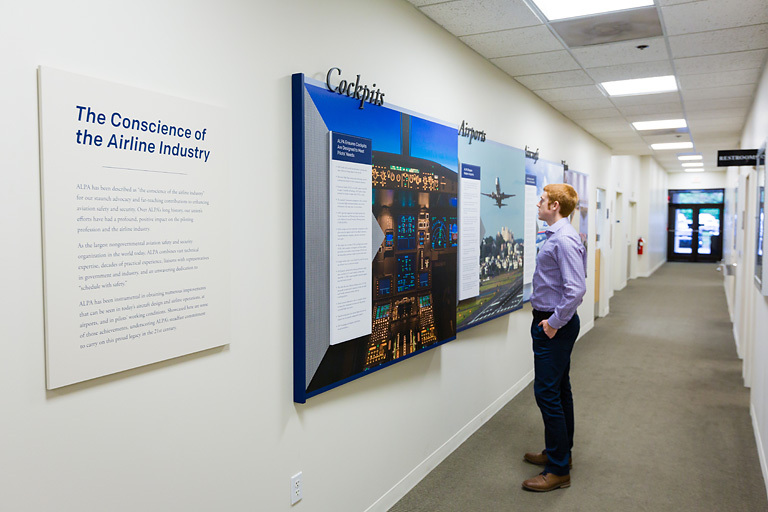 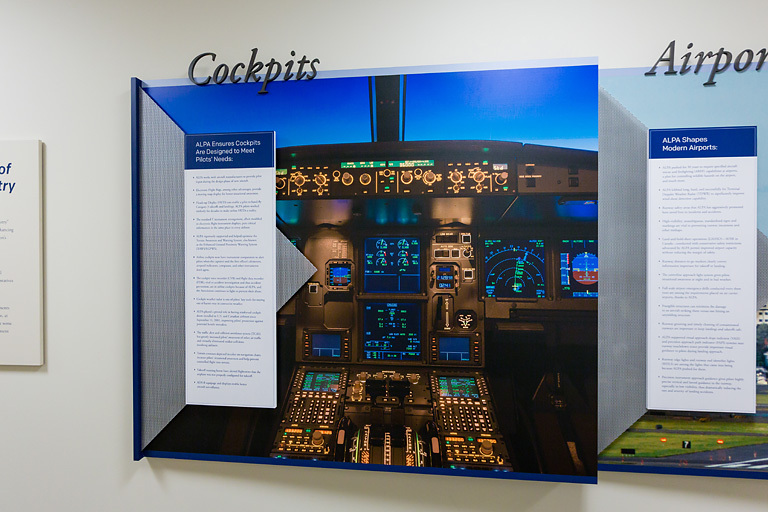 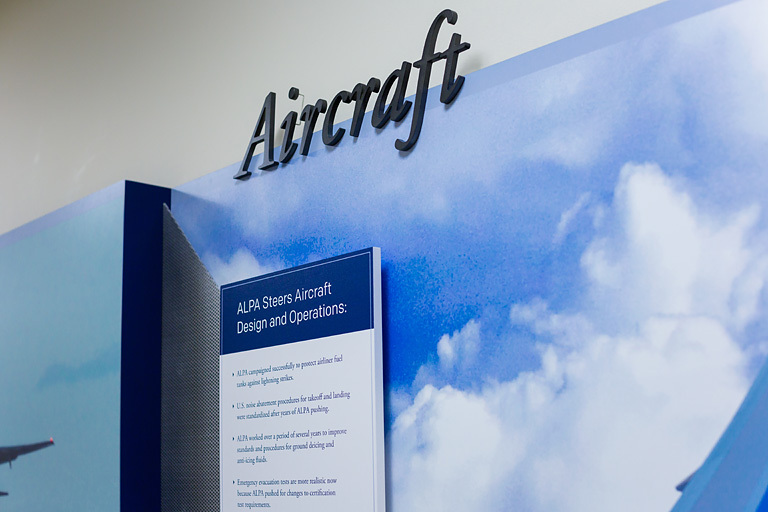 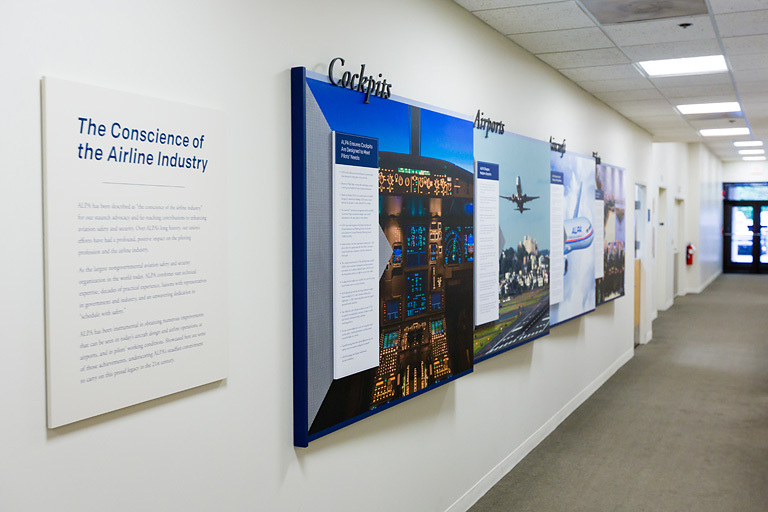 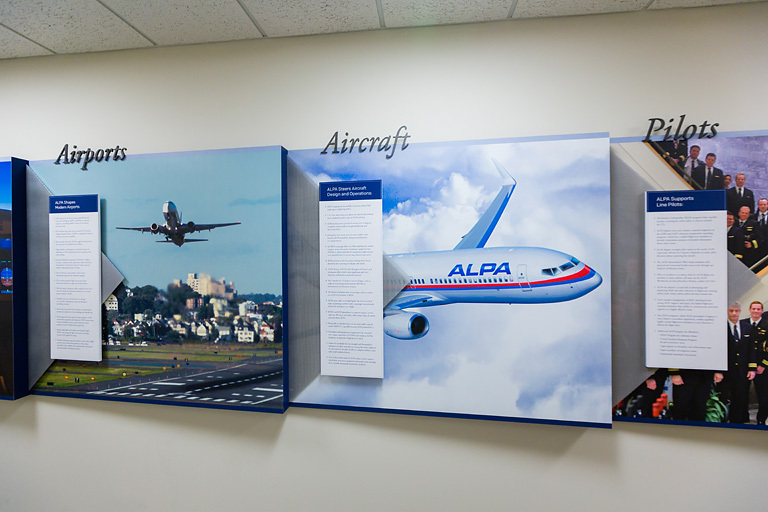 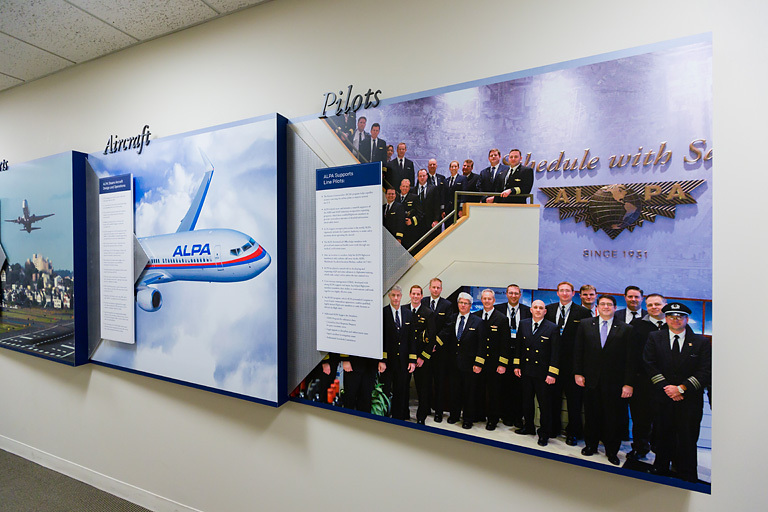 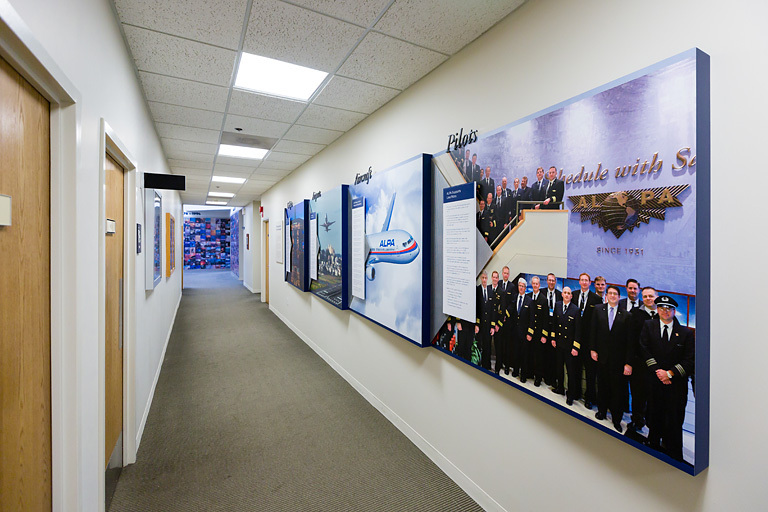 Conceptually, we categorized ALPA’s four main areas of influence (Cockpits, Airports, Aircraft and Pilots) and created a display to call attention to them using oversized photography and metallic materials reminiscent of aircraft parts. 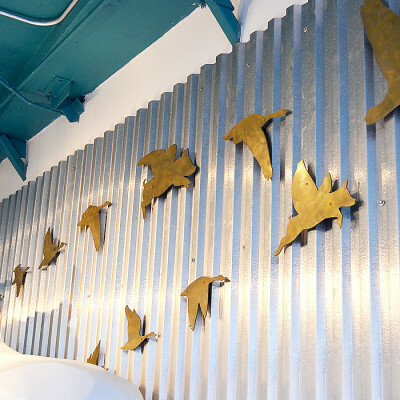 The challenge of this piece was to use an extremely large wall, with a very shallow depth allowance. 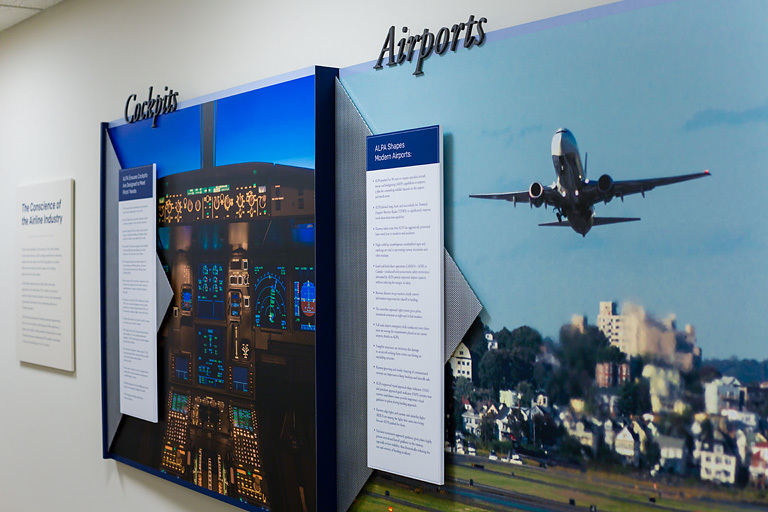 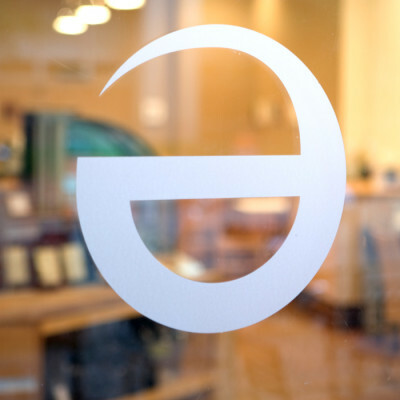 The staggered graphics extend less than 4″ off the wall to ensure ease of passage, while still making a visual statement to the viewer.